Share the ride. Enjoy lower fares. Spend up to 20% less on taxi fares when you book a GrabShare. GrabShare is the first on-demand service that matches you with other parties headed in the same direction. By sharing the ride, you reduce the fare and your carbon footprint too! Remember that you can only bring one friend. Currently in Beta testing, the service is available in Yangon. GrabShare has benefits beyond just sharing a ride. You can bring one friend. If you have 2 passengers or more riding with you (including children), please book GrabTaxi instead. How to book a GrabShare ride? Tap on book and you’re on your way! GrabShare matches passengers going in the same direction in the same trip and charges passengers a lower fare than a GrabTaxi ride. All our GrabShare drivers are from our professional GrabTaxi fleet. GrabShare fares are up to 20% cheaper than GrabTaxi fares. Why am I unable to use GrabShare at certain hours? GrabShare is currently available at specific hours of the day based on demand and supply to ensure a smooth user experience. How many stops does the driver make on GrabShare? For every matched ride, there can be up to 2 stops between your pick-up and drop-off points. Will my fares be adjusted if no other passenger gets picked up? No, your fare will remain the same as the one stated when you received the ride confirmation. 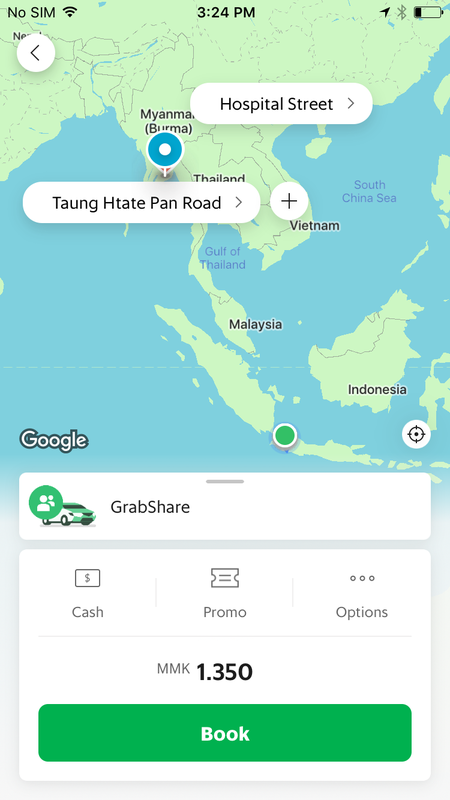 How many people can I bring with me on a GrabShare ride? You can only bring only one (1) friend, so that everyone can be seated comfortably in the car. If you have two passengers or more with you (even if they’re children), please book a GrabTaxi instead. Your GrabShare driver will only wait up to a maximum of 3 minutes for you once he/she arrives at your pick-up point. Be ready when you book! Can I change my destination once I have booked a ride? No, you will not be able to change your destination. If you wish to change your destination, cancel the ride and rebook another. Just check the Grab app. 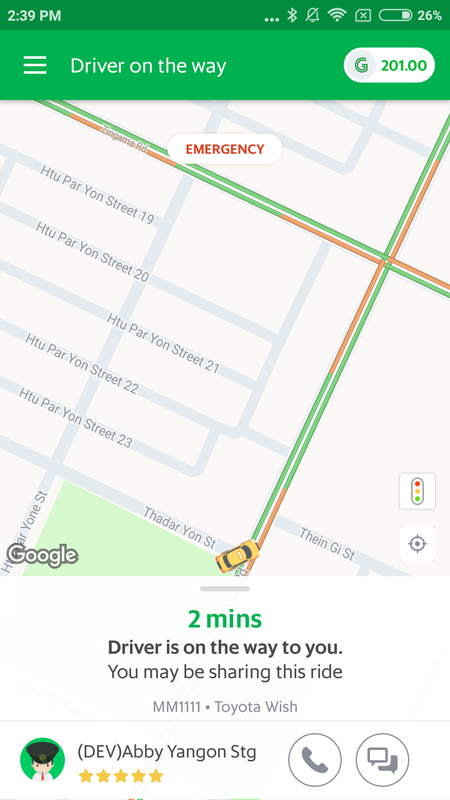 If you’re being dropped off first, the Grab app will say ‘Driver is dropping you off first.‘ If the other passenger is being dropped off first, the Grab app will say ‘Driver is dropping off the other rider.‘ Grab ensures that drivers are taking the quickest route between drop-off points. No, the drop-off sequence is determined by the app to provide the most optimised route between your drop-off points. Trust the app!